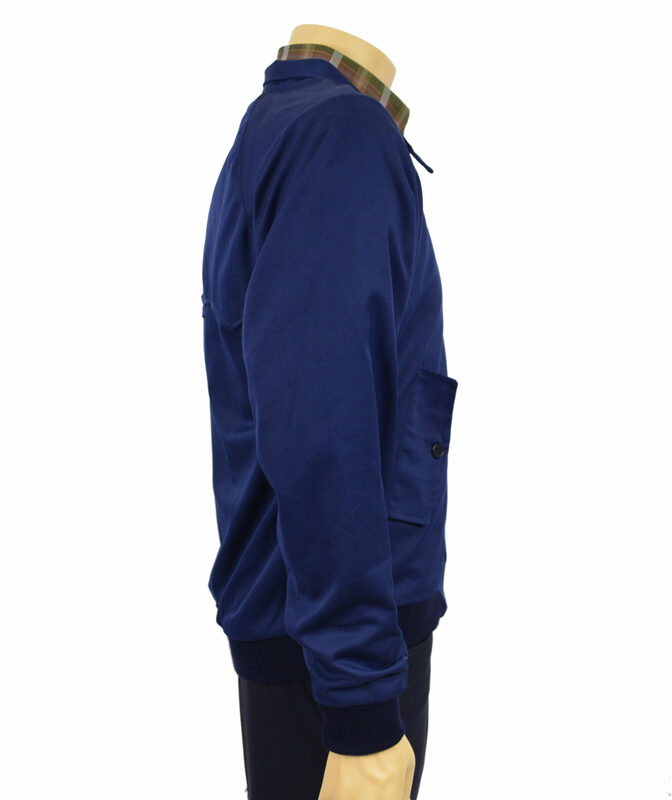 Our new Raglan sleeve Harrington in Navy. 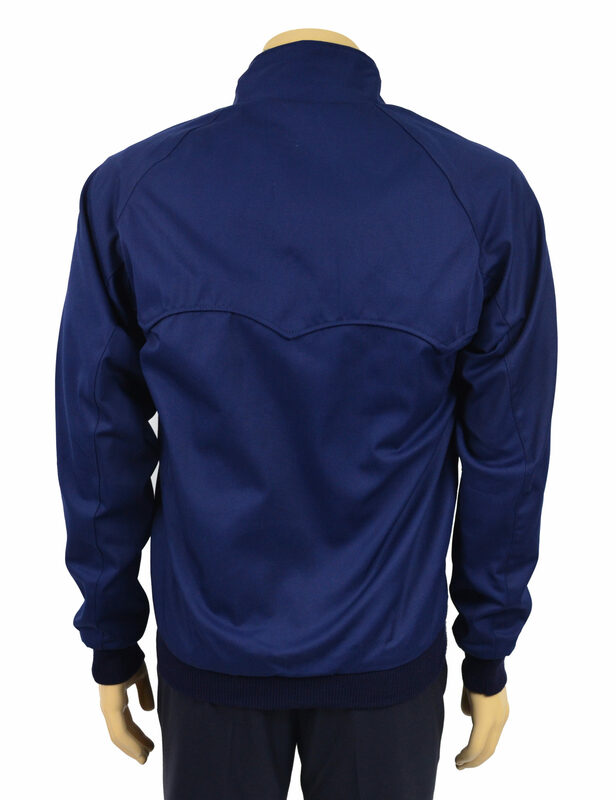 Slimmer fit with concealed YKK zip front. 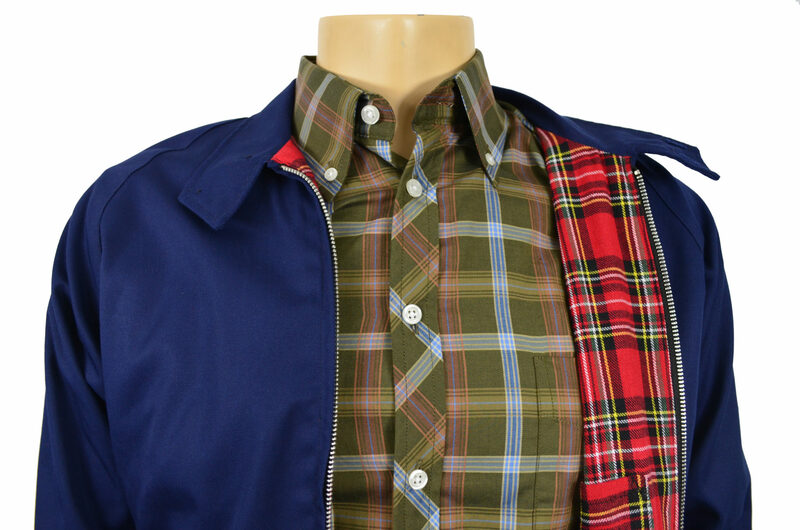 Traditional check lining with inside pocket and our sharp three point back detail. Well-made, definitely slim. Note that the ‘Navy Raglan’ is actually a darker shade of navy than the image above portrays. I’m pleased with it, but folks should know that it’s closer in appearance to the navy ‘Melton Wool’ variant. Thanks for reviewing, always appreciated, and thank you for drawing attention to the colour discrepancy. 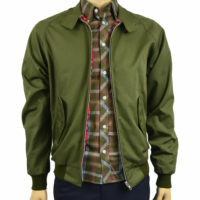 I ordered this jacket from the US and initially had some payment issues (a fault on my end) but the customer service was excellent and they were incredibly helpful in their responses. The jacket arrived and far exceeded my expectations. I will definitely recommend this store to my friends and to anybody out there wondering if they should order this, stop thinking and go for it! It is amazing and I honestly cannot say enough good things about both the jacket and the people working at the store. Thanks again JTG! Satisfied customer here in the US, the staff was super helpful when paying from overseas was a bit awkward and I couldn’t believe how soon it got to me. Thanks so much for reviewing Aidan. Look forward to helping again. 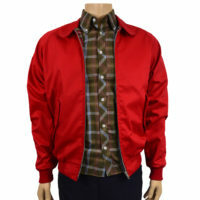 I have bought a Baracuta G9 some years ago and wanted a cheaper version of the Harrington style. 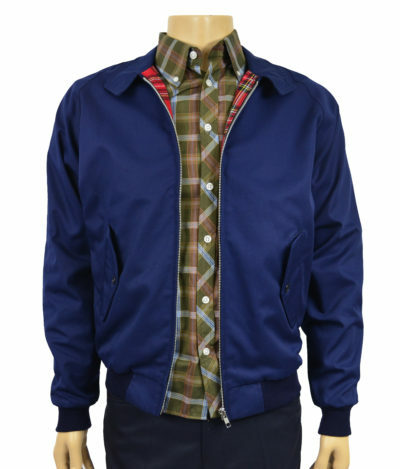 My ordered Navy blue jacket from JTG arrived in Hamburg, Germany, really fast. 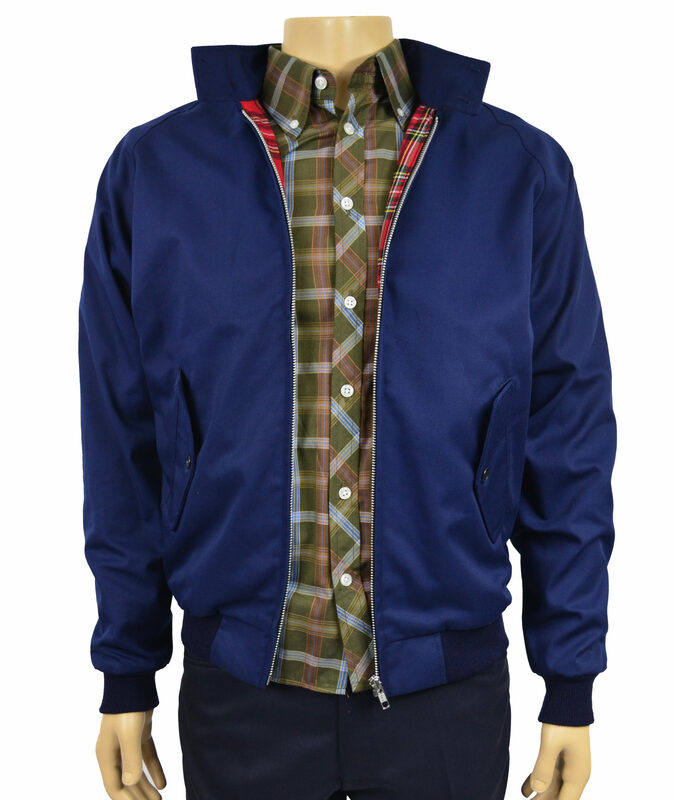 Even if both jackets are not really comparable when it comes to fabric, patterns and seams / stitches, the JTG is excellent value for the money. The knits are much more substantial than the Baracutas. 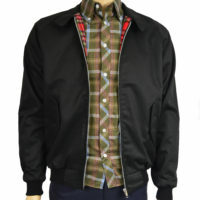 It`s definitely not the last Harrington I will order from JTG! Thanks Ties, look forward to further orders. Regards from Brighton. 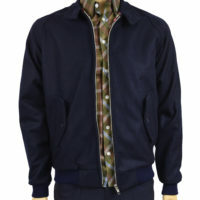 A great fitting Harrington, the raglan sleeves give the jacket a much nicer shape than my other Harrington jackets (supplied by Baracuta at almost triple the cost!!). Ordered on late on a Thursday night and was with me on the following Saturday in time to wear for a staff Christmas p*** up!! I got loads of compliments about it with several people enquiring where I got it from, naturally I told them about the fantastic shop I know that stocks great clothes and provides 100% customer satisfaction every time!! Martyn, Thanks so much for the review- have a good Christmas, hope to hear from you in the New Year. Jonathan. Thanks Mark. Really appreciate your comments. 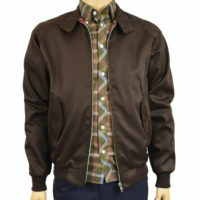 I needed my jacket quickly and got great customer service, arrived on time and really pleased with the quality and cut of the jacket. 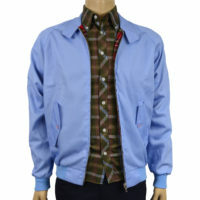 quality Harrington at a reasonable price.ordered at 4.35pm and arrived the following morning.also bought sta prest and scarf.all good gear. Second time at JTG. Again 100% quality and perfect service. Thank you Jonathan and cheers from Cologne. Thanks Christoph, always good to hear from you. Jonathan. 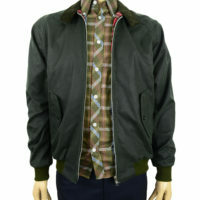 Just recieved my Harrington as a gift and what a great present to receive! Nice colour, good fit and well made. 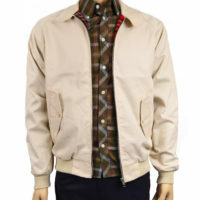 Importantly for me, it’s manufactured in the UK too and at this price point compares very well with my Baracuta which cost several times more. What you also get with JTG, which is consistently referred to by others, is friendly,knowledgeable, helpful service and products that are well packaged and very quickly despatched. Thanks to all at JTG. Jean-Paul, thanks for both your reviews- much appreciated- Jonathan.